I had always thought playmats were only for non-movers. For babies who couldn’t sit up. 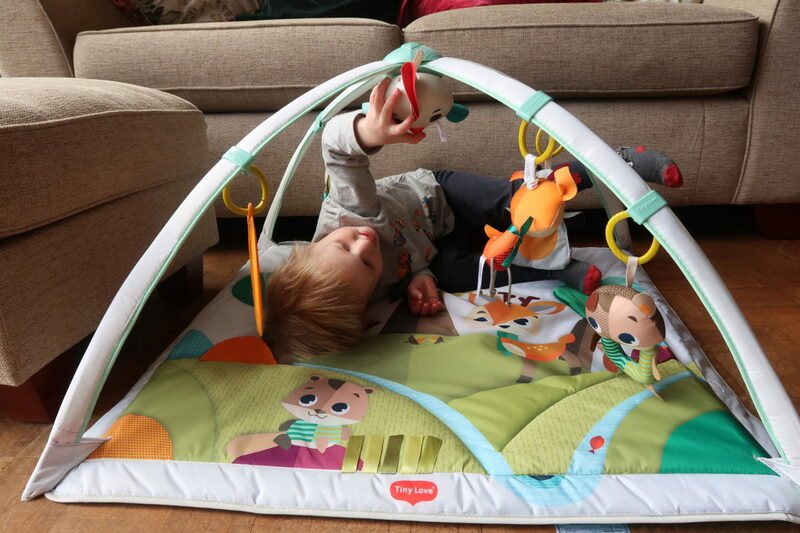 But when I was contacted to review the Into the Forest Gymini Deluxe by Tiny Love, I was intrigued. This playmat isn’t just for those little babies that don’t move. It is uniquely designed with adjustable arches which adapt to your baby as they grow. And you can remove the arches to make it into a standalone playmat as well. The hanging toys on the playmat are gorgeous. They’re all interactive, there are rattles, crinkly toys, chewable toys and a mirror. There’s also an amazing little bird that sits where the bars cross and that will play for 30 minutes, and has 20 different tunes! All the toys hang down low enough to easily be grabbed and pulled by the tiniest of hands. 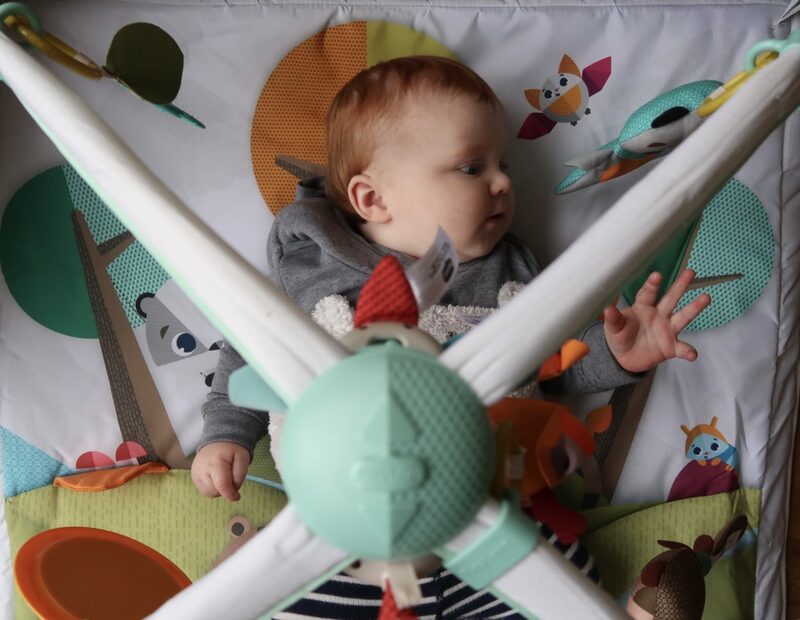 As soon as I set the playmat up Henry was straight over, playing with the hanging toys, and his favourite aspect of it; the mirror. 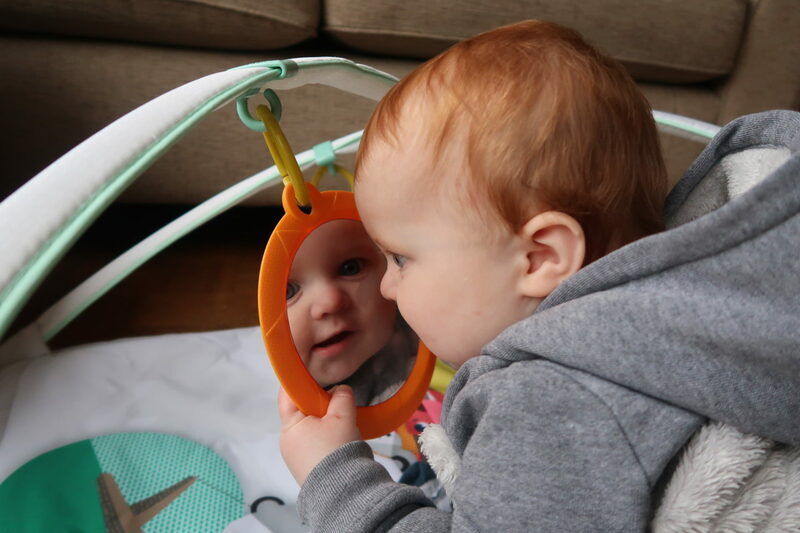 Babies love a mirror and the mirror on this playmat is a really good size! 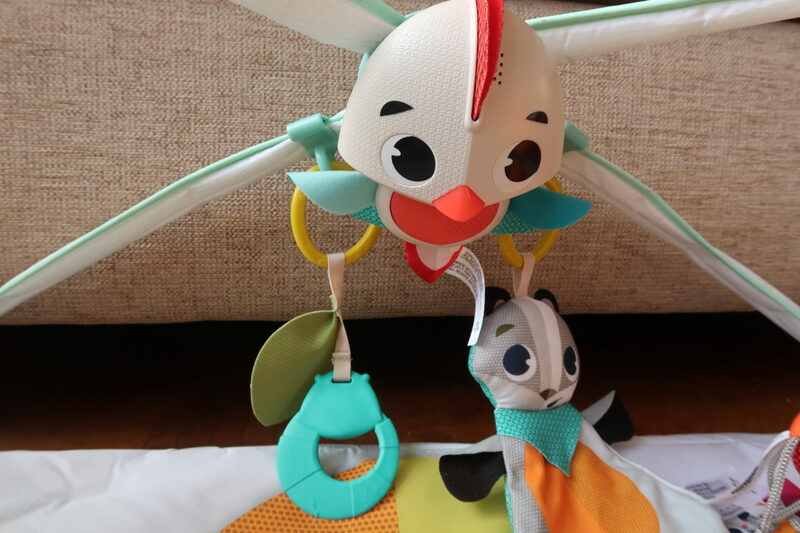 The toys can easily be removed, so you can attach them to a car seat or pushchair when you’re out and about. On the mat there are more interactive features, shiny ribbons for little hands to grab and a cute peek a boo game! I’ve been really impressed with this playmat. Having only had a very basic one previously, I can see why you might want to spend a little more. Especially on something that will last for a lot longer than a lot of other playmat. I’ve even found Oliver (who’s 3) lying down and playing with the toys! 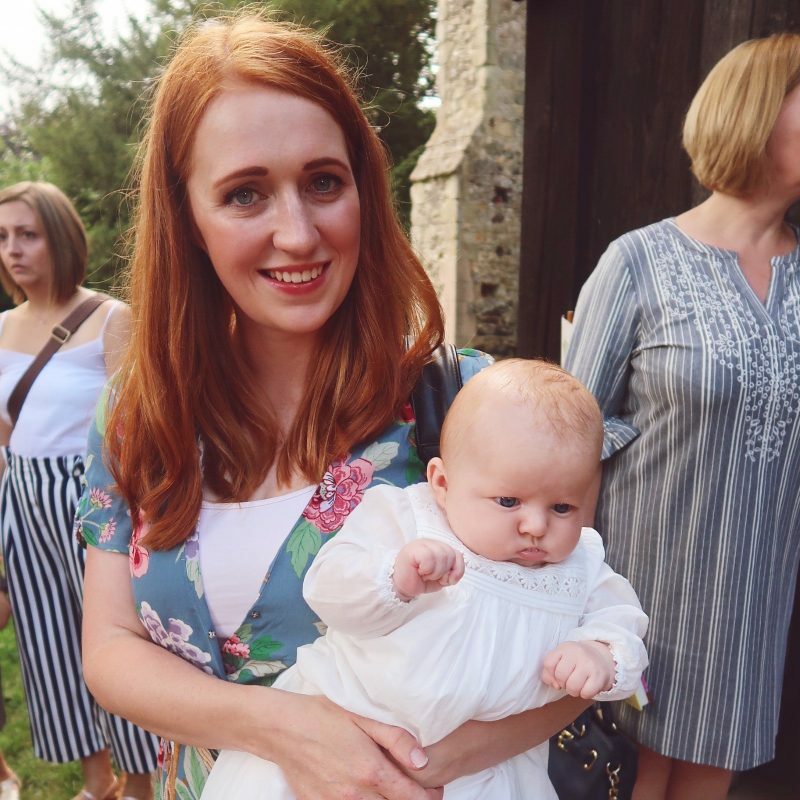 I love the woodland theme, it’s a theme that’s really timeless and well loved by all. The playmat is nice and colourful but not too in your face, which I love as so many children toys are often so bright and garish! So if you’re in looking for a playmat for your baby I wouldn’t look any further, because I truly believe that this is a really great playmat which is well worth the money. For full details and where to buy, pop over to the Tiny Love website.